Easy ways to a Stress Free Morning! A stress free morning – it’s what we all crave! But too often, whether it’s for an early commute or the school run, it entails waking up in a frenzy trying to pull on something that’s both comfortable and appropriate, racing out of the door and often missing that morning brew. When you start the day on the wrong foot it makes you late, flustered and frustrated for the rest of the morning and it’s difficult to get back on track. I’ve been there, with and without kids, and it’s tough particularly on a cold dark Winter morning! Even though I now work from home I still use the same sort of preparation to slide easily into the day ahead! What you need is to make your mornings a whole lot more relaxing – without the need for an earlier alarm call so that you don’t lose any more precious sleep! Lack of time invariably means that your grooming suffers so if you can find a few extra minutes for the finishing touches it pays dividends with your confidence levels all day long. 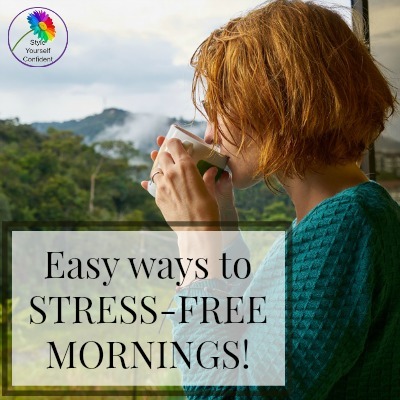 There are several ways to make life a little easier so you can establish and even enjoy some peaceful mornings ready to begin the day calmly and well prepared. We’re all aware how convenient it is for a man when he wears a suit to the office but, unless a woman is in a professional environment, wearing a suit these days can make her appear overdressed and in some cases unapproachable. Although we appreciate and enjoy informal dress, it actually makes getting ready every morning far more complicated. Have you considered adopting your own ‘morning uniform’? Identify your favorite and most comfortable outfit formula and it’s your blueprint for stylish and stress free mornings. The easiest outfits are created with layers which allows you to adapt them across the seasons. 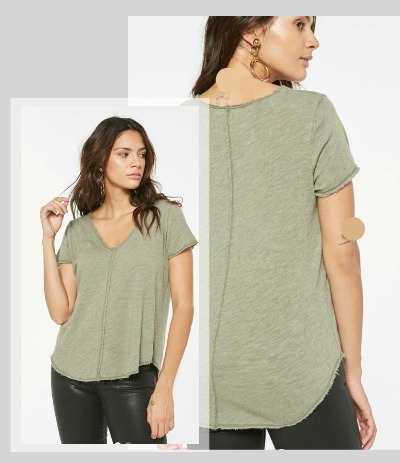 So whether your look is jeans and a blazer, a skirt and cardigan, even yoga pants and a zip-up, some high quality womens tees will give you a base. Select a few different colors to tone with neutral skirts or pants and you won’t even need to think about mixing and matching. Keep your ‘morning uniform’ at one end of the closet and you have an outfit ready to slide into at the start of every day. You can ring the changes with jacket and accessories. Working from home means that my very casual ‘morning uniform’ ensures that I don’t hang around in my pj’s longer than necessary! Everyone feels differently about eating an early-morning breakfast and even the kids are often resistant. But buying a coffee and a muffin on your way out is expensive, time-consuming and not the best start to the day. 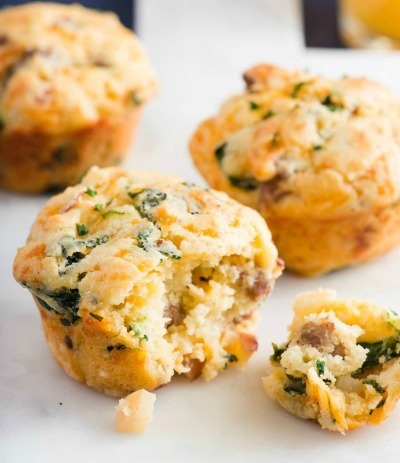 Check out this article for some delicious breakfasts that are worth getting up for and they’re all family friendly. You can simply pop them in the fridge before you go to bed for breakfast at home or on your way. So easy when all the hard work is done. Finally, it’s time to streamline the time you need to spend in front of the mirror and limit it to the 10 minutes you have available! Choose a hair style that you can easily handle yourself keeping it healthy and neat with a cut every other month and invest in whatever hair tools you need (straightener or curler) for a quick morning re-shape. Once you know the products and makeup colors that work for your skin, a quick makeup routine is a breeze. Combining moisturizer and foundation (one third moisturizer) not only saves time but allows the color to blend better and hydrates the skin at the same time. 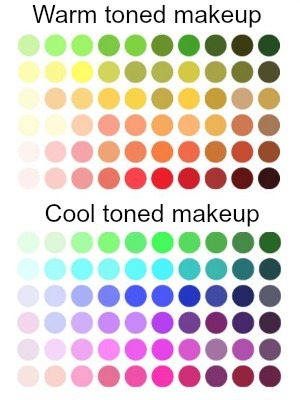 Tap some concealer on any marks and under your eyes, a quick brush of powder or blusher, lipstick, mascara and off you go. A stress free morning doesn’t have to be time-consuming with just a few minutes of preparation the evening before. You can even try going to bed with a light-weight face mask on once in a while as well and you’ll wake up to perfectly glowing skin without all the hassle. Homepage >> Good Grooming >> Stress free mornings!